Say the guys of Kiss haven’t announced that they’re heading to your town yet on their farewell tour? 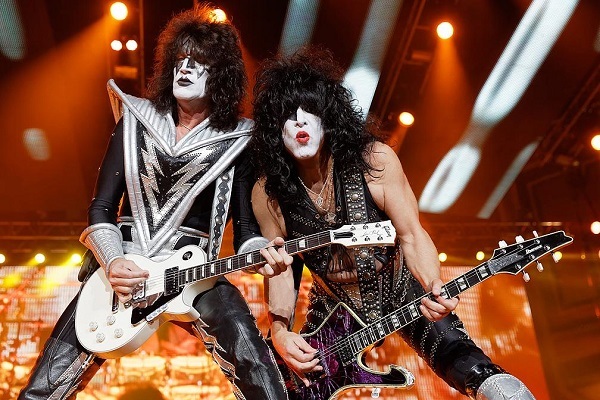 Rest easy, because Kiss has announced a second North American tour leg of the tour that will keep the group busy in August and September of 2019. The new round of Kiss “End of the Road” tour dates will set off Aug. 6 in Sunrise, Florida, and continue through a Sept. 16 concert in Oakland, California. Thus far, Kiss’ farewell tour has sold more than half a million tickets. Meet and Greet packages for the shows will be available at KissOnline.com starting today (Nov. 27) at 10 a.m. local time. Kiss Army fan club pre-sales will start Wednesday (Nov. 28) at 9 a.m. local time. General public on sale will start Monday (Dec. 3) at 10 a.m. local time via LiveNation.com. Find the newly-announced tour dates for the second leg of Kiss’ tour below, and find the initial dates here.